The Clareview home sale price per square foot has moved closer to the Edmonton average at the end of 2012. Clareview did get within $5 per square foot of the Edmonton average. 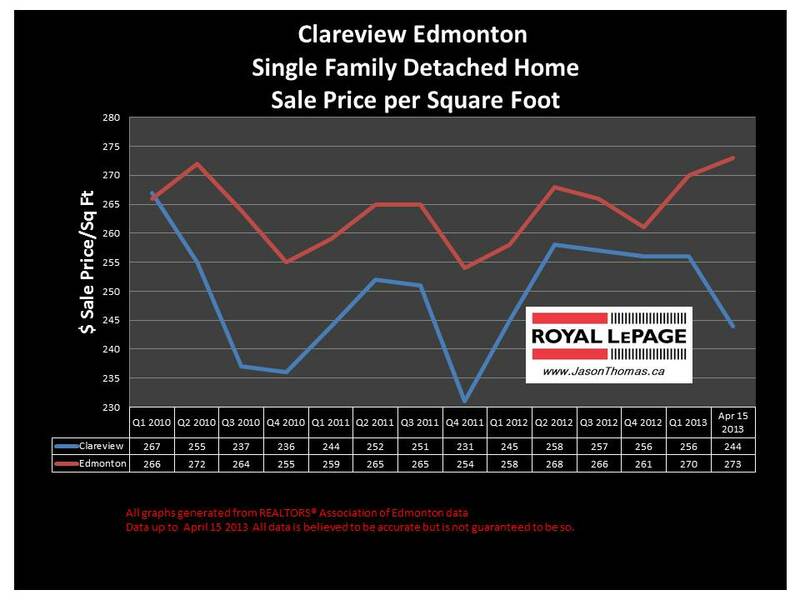 So far in 2013, Clareview has been softer and not moved up as much as the Edmonton average selling price per square foot. April in 2013 has been weaker in Clareview, but that is based on only 12 sales so far this month. The highest sale price for a house in Clareview in 2013 has been $465,000. The highest sale price for a home in Clareview in the last 12 months was $500,000. The average time to sell a home in Clareview in 2013 has been 45 days.